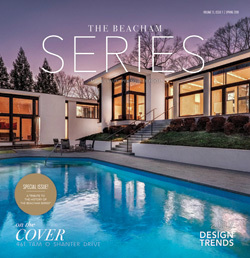 Stunning modern masterpiece, designed by Surber Barber Choate + Hertlein Architects, in Atlanta Country Club Estates. 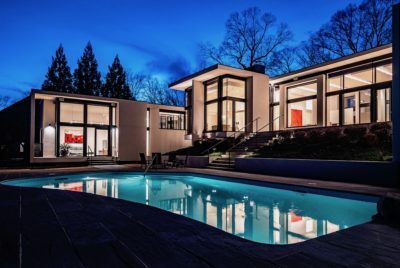 This custom-built contemporary home features 5 bedrooms, 5 1/2 baths with heated pool and is located in East Cobb’s top-ranked schools: Sope Creek Elementary, Dickerson Middle School and Walton High School. As you enter, you will find spacious living room with gas fireplace and banquet-size dining room with soaring 12+ foot ceilings and floor-to-ceiling windows, perfect for entertaining. Glass doors open to huge patio overlooking private backyard with heated pool. 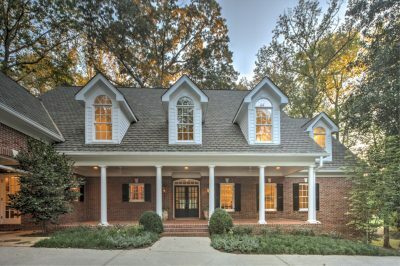 Stunning brick beauty on the 10th hole of Atlanta Country Club’s golf course, steps away from the clubhouse, tennis courts and pool. Renovated to perfection! 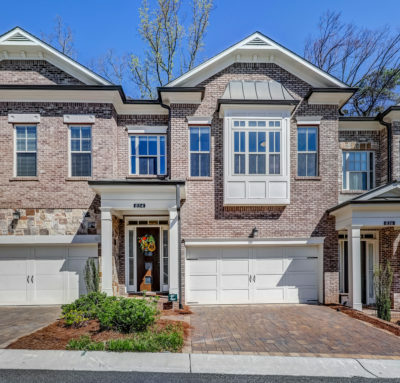 This home features 7 bedrooms, 7 1/2 baths and is located in East Cobb’s top-ranked schools: Sope Creek Elementary, Dickerson Middle School and Walton High School. Beautiful luxury 5 bedroom home with 5 full baths and two half baths on premium, 1.22 acre riverfront lot on the Chattahoochee River with sparkling pool. 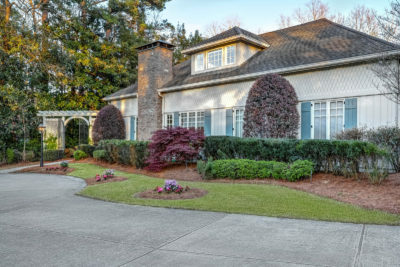 Entertainer’s dream home in Atlanta Country Club Estates with East Cobb’s top-ranked schools: Sope Creek Elementary, Dickerson Middle School and Walton High School, and low Cobb County taxes. As you enter through the stunning bespoke bronze ironwork double front doors, you will find an impressive two-story foyer with elegant, wrought iron curved staircase. On the left, warm inviting formal living room with gas fireplace which could be used as library or study. On your right, large dining room with vintage-inspired chandelier, wainscoting, custom Philip Jeffries grasscloth and two French doors which open to the pool, perfect for entertaining. Brookhaven beauty! Stunning 4 bedroom, 3 1/2 bath home in Montgomery Elementary School district with master on the main. 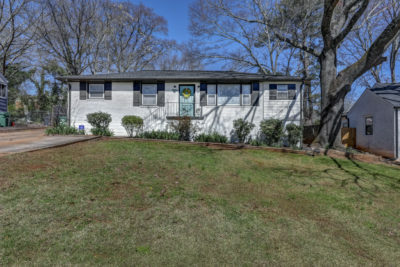 Outstanding location, close to Murphey Candler Park, Blackburn Park, and Keswick Park. 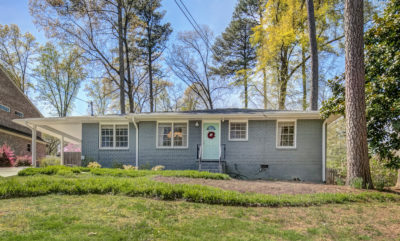 Charming 3 bedroom, 2 1/2 bath bungalow on one of Ashford Park’s best streets. This renovated home has an open floor plan, updated kitchen, renovated master bedroom and huge backyard. Walking distance to the shopping and restaurants on Dresden! Open floor plan with dining room, family room and updated kitchen featuring Quartz countertops, Ann Sacks designer backsplash, pantry, breakfast bar and stainless steel appliances including gas range. The renovated master bedroom suite has large walk-in closet and spa-like master bath with dual vanities featuring Quartz countertops, oversized soaking tub and large frameless shower with rainhead. 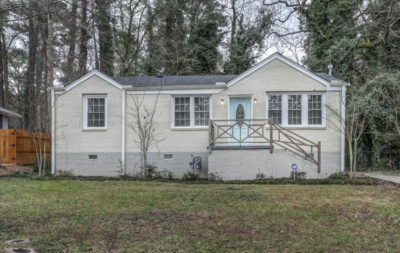 Super cute updated 4-sided brick bungalow near East Atlanta Village, Kirkwood, & City of Decatur, with very convenient access to I-20. Enter through the front door into the living room filled with natural light from the large picture window. The spacious living and dining rooms are perfectly proportioned for entertaining, and the kitchen has been updated to include granite countertops, white cabinets, stainless appliances, and subway tile backsplash. 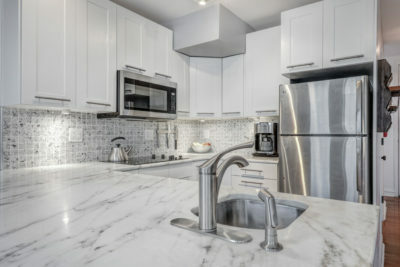 Renovated 2 bed, 1.5 bath condo in the heart of West Midtown! This home features an open layout with modern finishes and floor-to-ceiling windows throughout. Centrally located, you have Midtown’s best shopping, dining and nightlife right at your fingertips. This is low-maintenance, city-living at it’s finest! Upon entering the condo, the first thing you will notice is the abundance of natural light provided by the wall of windows across the unit. As you move through the foyer, you will find a half-bath on your right with an updated vanity and tile surround. 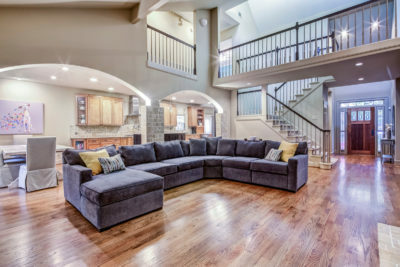 Making your way out of the foyer, you will find a big, open living space. 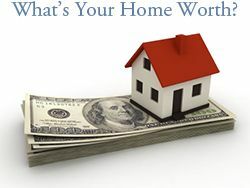 On your right is a beautifully updated kitchen with white marble countertops, white cabinets, and custom backsplash. The kitchen is open to the living room and perfect for gathering friends around. The living and dining spaces are flanked by a wall of floor-to-ceiling windows which flood the unit with natural light! Heading upstairs you will find the updated bathroom, hall laundry with new washer/dryer, and two nice-sized bedrooms, again with floor-to-ceiling windows! There is a large storage area just off the half-bath, perfect for seasonal storage and brooms etc.